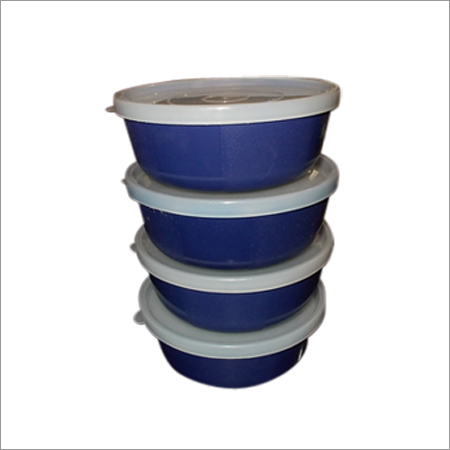 To gain strong foothold in this industry, we are devoted toward offering a wide gamut of Plastic Food Storage Box. Only high quality plastic is used while manufacturing the offered range, for increased compliance with international standards of quality. The offered range is highly appreciated among clients for its perfect design and other striking features. Apart from this, our range is offered in various specifications and can be customized as per precise needs of our clients at highly competitive prices. Established in Delhi, (India), we, “Shree Sai Industries”, are one of the leading organizations, involved in manufacturing, trading and supplying a wide and comprehensive range of Pet Bottles, Plastic Pet Jars, Plastic Kitchen Product, Plastic Packaging Bottles, Stainless Steel Kitchen Products, Plastic Bowl, Plastic Lunch Boxes, Plastic Container Box, etc. We sell our product in the market by the brand name of "Kitchen Kraft" All our products are designed in compliance with international quality standards & norms, using high-grade raw material like plastic and other that are obtained from the reliable and certified vendors of the market. These products are widely acclaimed by the customers for their durability, reliability, leak-proof & unbreakable nature, lightweight and abrasion resistance. In addition to this, we provide all our products in various sizes, shapes, colors and designs at market leading prices to fulfill the demands and needs of customers. We also provide customization as per the specifications laid down by the clients.